Vista Techno Pack Machine brings the best selective choice to the client for quality filling product. 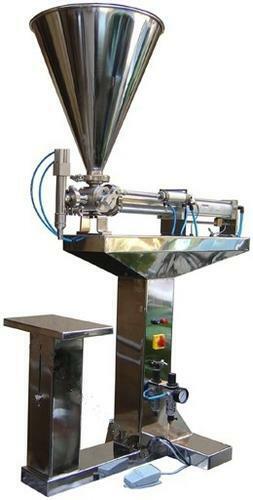 The company offers jam filling machine which is fully automatic. It has replaced the manual procedure of filling the jam which was very unhygienic. The jam can be filled with accurate weighing mechanism. Adjustable screws are present. The machine is suitable for filling various products like jam, jelly, pickle, cream, lotions; paste etc. and therefore is used by different industries. As the machine is used for cosmetics and food product the contact parts are made up of stainless steel. The company is manufacturer, supplier and the exporter of the product and is well known all over India.